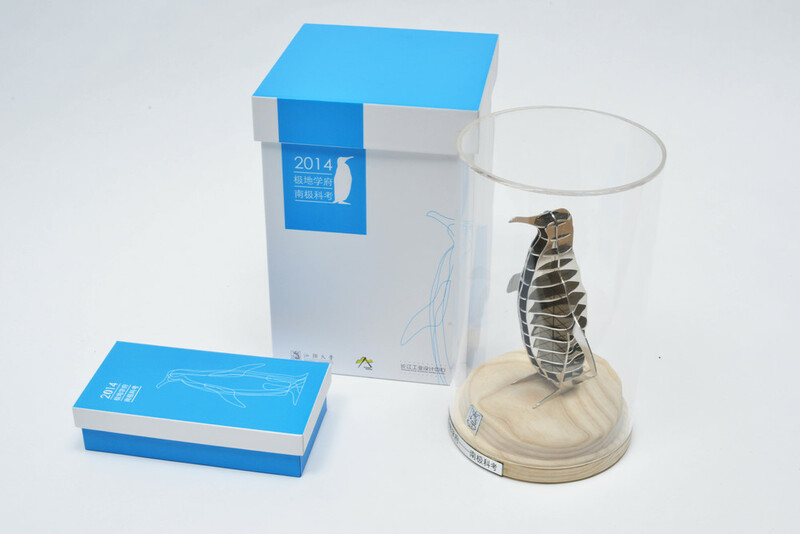 Upon request of the La Ka Shing Foundation this Penguin statue has been designed in a limited charge to acommodate the White and Blue exhibition. This exhibition previewed an antarctic expedition program that was sponsored by the foundation in 2013. 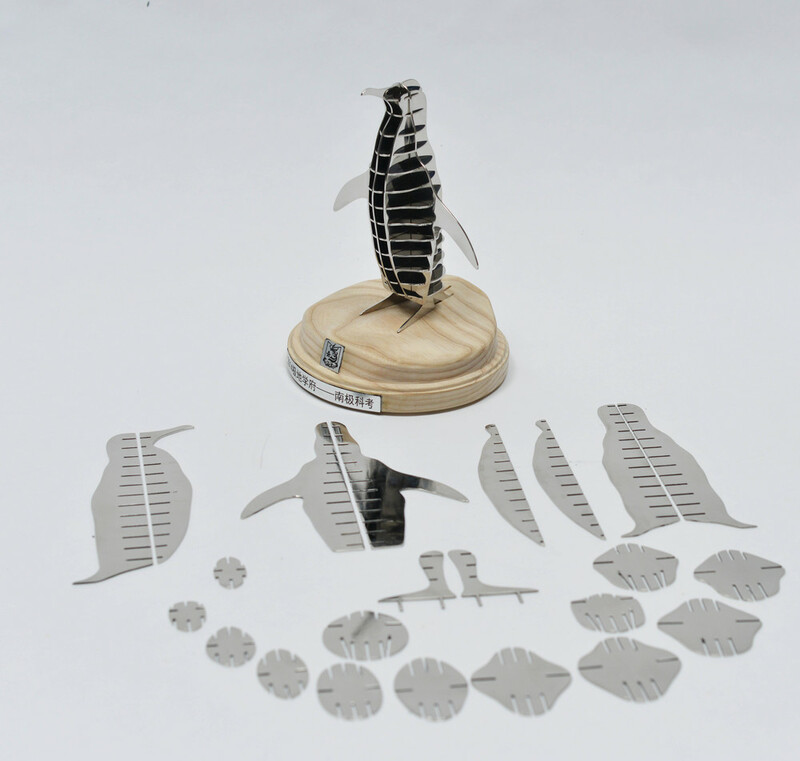 The statue itself is made of 22 lasercut parts, either made of stainless steel or plexiglass to cover different budgets.